Prime Minister Benjamin Netanyahu’s speech at the UN General Assembly was impressive. The rhetorical talent, the perfect English, and the ability to communicate complex messages all stand to his favor. As much as one may criticize him, he fulfills his role in representing the state of Israel in the world with great dedication. And Bibi is not the only one who deserves credit. Behind him are mighty forces and brilliant minds who serve the Israeli intelligence and security, geniuses who turn Israel into a technological superpower, talented researchers and entrepreneurs who have brought about tremendous developments in the fields of water, agriculture, cyber, health and the list goes on. 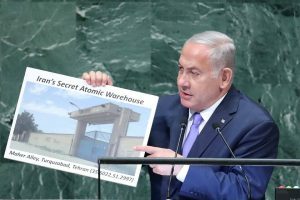 But even when Netanyahu exposed the secret nuclear site in Tehran, the precision missile factories in Beirut, the fact that Iran never abandoned its nuclear weapons program, it did not leave the desired impression. The world is already beginning to take apart his outspoken revelations by claiming that the facilities contain documents and not missiles. With all due respect to history as represented by historians, there are also Kabbalists in mankind – a handful of people with spiritual attainment who see a deeper picture of reality. 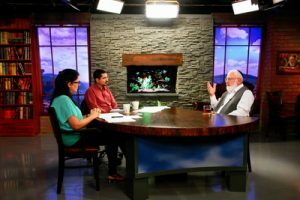 The Kabbalists point to a clear trend in the attitude of the nations of the world toward Israel. They expect a wave of anti-Semitism to sweep all Jews around the world, hatred that will rise to new heights – both toward the Jews and the State of Israel. When hatred gets out of proportion, no nation will need to justify its negative and hostile attitude towards Israel. Nations may even be proud of their despicable acts, just as it happened in the 1930s, and no leader will be able to lower the flames. Not even Trump. Kabbalah is the only wisdom that explains the irrational hatred towards Jews. It describes the phenomenon of anti-Semitism as a law that stems from the nature of reality, and takes on a new face in every generation. Rather than trying to deny it, we have to learn how it serves the purpose of Creation. According to Kabbalists, the Jewish people have a unique attribute, the potential to bring unity to all of mankind. Once they learn how to realize this potential, they will not only neutral anti-Semitism, but also enable the whole of humanity to rise above the human ego and discover a life of social harmony. This was Abraham’s unprecedented discovery: when human beings make a common effort to build positive relationships above their inherent egotism, a new spiritual space opens up between them, where they can sense the wholeness and harmony of nature. This is the true meaning of “Love thy neighbor as thyself” and it is the essence of the wisdom of Kabbalah. “Am Yisrael” – the people of Israel – started from a group of Kabbalists who gathered around Abraham in ancient Babylon some 4,000 years ago. They were, in fact, representatives of the various tribes and nations that existed back then. Therefore, the Jewish people acts like a central “hub” within humanity, designed to enable global unity across all of mankind. Nature is a globally integrated system that binds together all people in total interdependence. The connections are hidden, yet they are stable and intricate. The phenomenon of anti-Semitism arises when the people of Israel fail to fulfill their role in the system – abandoning their unity, social solidarity, and positive connection. In this respect, it is sad to see that we haven’t learned our lesson from history. A relationship of hatred among us, Jews, determines the hatred of the world toward us. Humanity does not hate Israel by choice. Even without their awareness, the hatred that erupts from the nations of the world is destined to motivate the Jews to realize their spiritual purpose. Today’s Iran merely plays the leading role in the international anti-Israeli movement. Speech after speech, diagram after diagram, another discovery of a nuclear facility – and the world’s attitude toward Israel does not change. Subconsciously, humanity expects us to be more than a technological superpower. They expect us to be a spiritual superpower, because when the people of Israel activate their spiritual unity, they enable a life of peace and happiness for everyone. This is the kind of spirit that humanity is waiting for, along with a practical work plan to follow. Ultimately, only this action will generate waves of sympathy and affection among the nations toward Israel. All the problems and financial pressures that occur in families are meant to bring us to connection with one another. Family members should respond to negativity by uniting the same way a country does when a foreign army attacks. The problems will disappear if the family connects together! We can learn to heal relationships through conversation, workshops, games, and activities that create mutual responsibility.